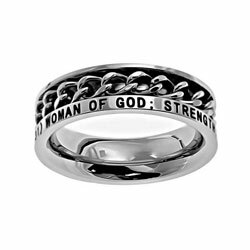 Christian Jewelry Sale and Clearance Items! 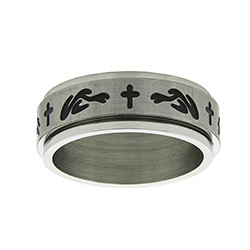 This stainless steel spinner ring displays a cross with flames on each side of the cross. 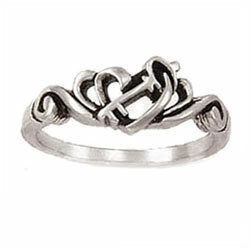 Pewter Nail Ring. 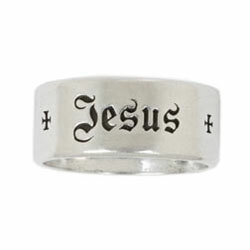 Also comes with a bookmark that says: "Christ endured a painful death while hanging on that tree what held Him there were no the nails it was His love for me." 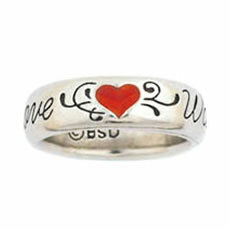 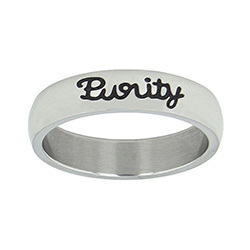 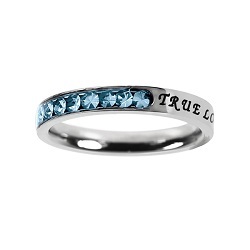 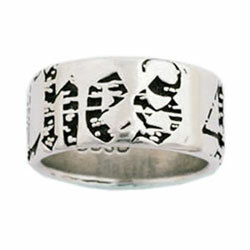 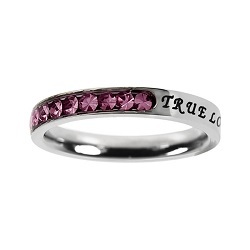 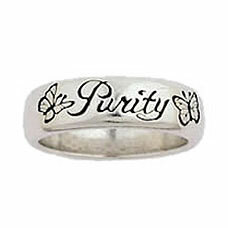 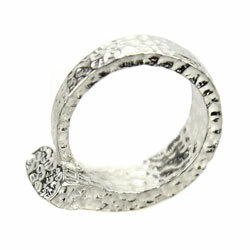 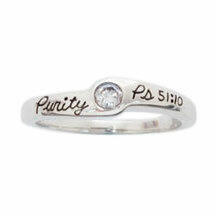 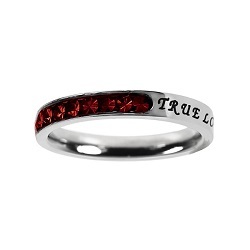 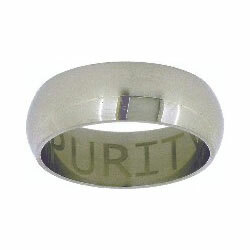 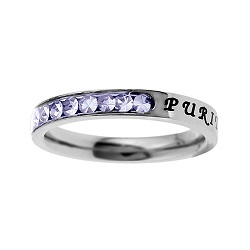 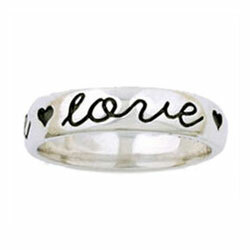 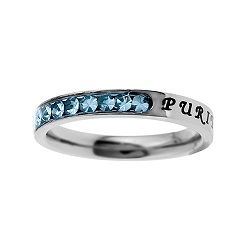 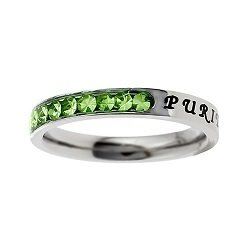 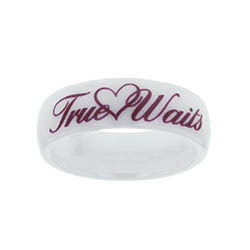 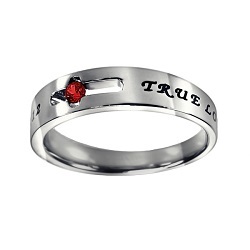 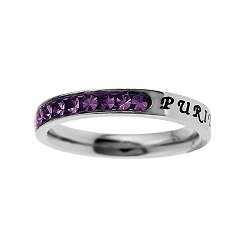 This trendy scripture ring is made from solid 100% lead-free pewter and features "Phil. 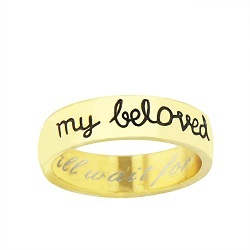 2:10" engraved inside the band and "Jesus" several times. 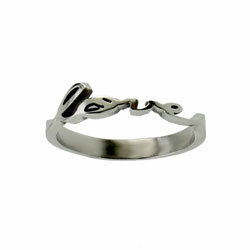 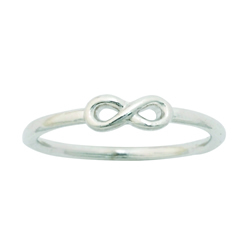 A wonderful reminder of God's eternal love, this affordable silver plated infinity ring is cast in 100% lead-free pewter and comes in small, medium, and large. 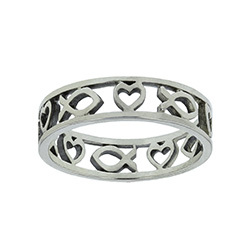 This cute sterling silver ring has a straight outer border with alternating ichthus fish and heart cutouts spaced around the inside of the ring. 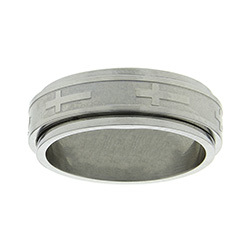 The standard-fit band is 5mm wide. 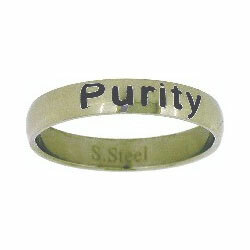 Made by Solid Rock Jewelry. 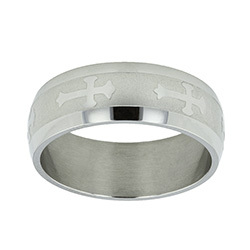 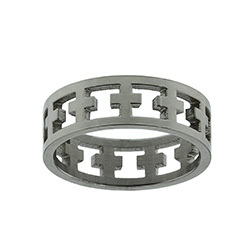 This stainless steel ring features cut-out crosses around the entire band.